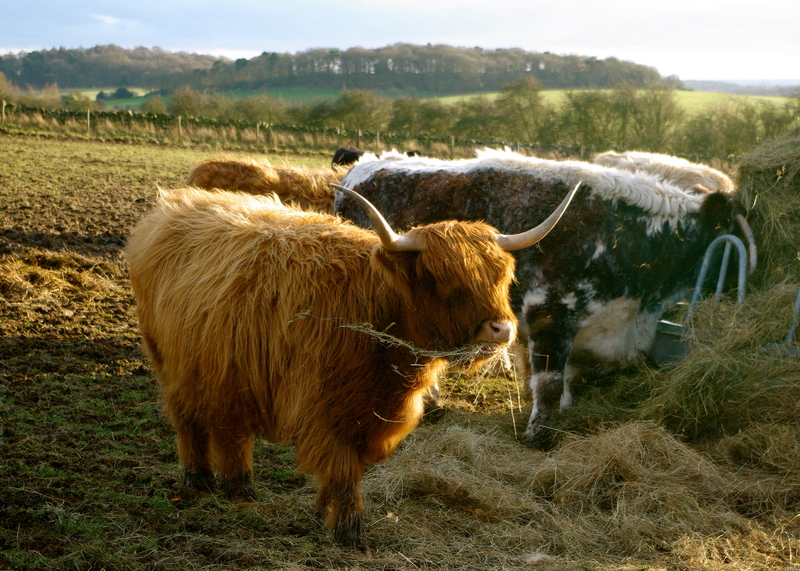 This entry was posted in Landscape, Nature, Photography and tagged bull, cattle, English countryside, field, grass, hay, horns. Bookmark the permalink. How to follow pictures of summer bullrushes and grasses when it is Christmas week? Well, this fellow was seen on the same hillside as the ‘hot dogs’ and he looks pretty good to eat!